This Premium Series case is made for either 1 or 2 pistols. The interior is filled with egg crate foam and comes with 2 high quality key lockable latches and 1 combination lock. 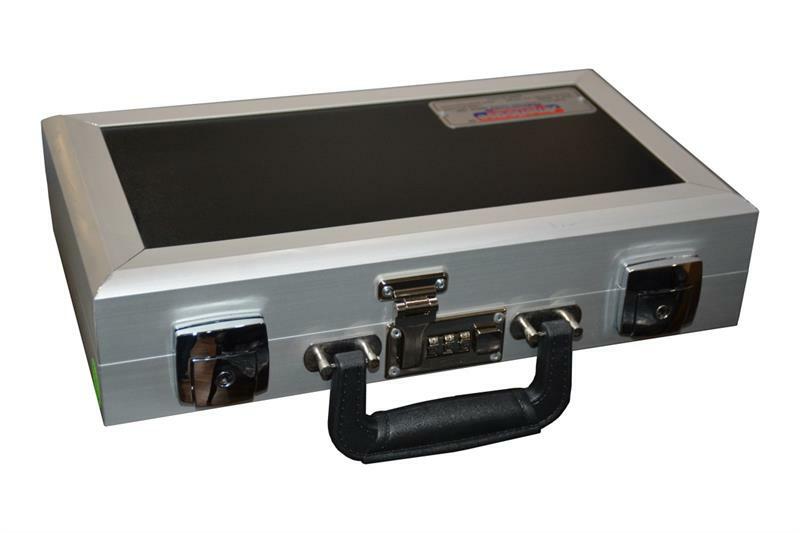 Interior Dimensions:13-1/4" x 7-1/4" x 3"
Exterior Dimensions:14" x 8" x 3-1/2"
Superior craftsmanship and only the finest quality hardware and materials make Americase Premium among the most indestructible cases on the market. These handsome cases are easily adaptable and can be built to almost any length or width. A sturdy, anodized aluminum frame and extremely strong side panels yield a case that resists warping and dents. Closure of the case engages the wedge-lock gasket system, which seals out dust and resists water. The versatility, aesthetics, strength and durability of this line truly make it a Premium product.